That is the question 🙂 I recently responded to a piece about exfoliation and thought “Everything is about the latest abrasive or peel or something. 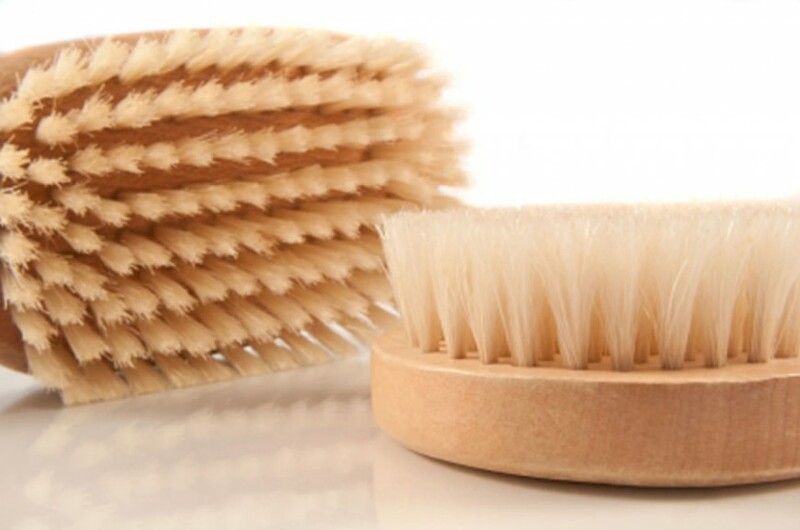 What about a simple brushing?” I do Dry Brushing as often as I can and I love how my skin feels afterwards. It is simple and a nice alternative to using the butters or oils with an abrasive. I am not saying those aren’t great ways to exfoliate but sometimes you just don’t feel like having oil on you. Everyone is talking about the latest, greatest fad in beauty or the latest greatest technology, but sometimes it is the very simple thing that can make a big difference in the appearance of your skin and ultimately in how you feel. Dry Brushing is a simple technique that anyone can use to help with exfoliation of the skin and to make your skin glow and feel smooth. It also invigorates the body and helps with blood circulation to the skin. The best thing about it is that it can be done, of course, without oils and with the right brush, even on the face. You can do this every day if you wish or as little as once a week! The best type of brush to use is a natural bristle brush. One made with boar’s hair or even agave fibers is ideal in doing a great dry brushing. The best time to do one is right before you take your shower or bath. This way, all the dead skin cells that you have released on your body will easily be washed away in the shower. It is very simple to dry brush. First, you get your brush. You can find these in most holistic, health stores, natural skin care stores. You begin dry brushing from the extremities inwards towards the chest/heart. This way it follows the natural flow of blood and also helps with lymph circulation. Starting from the left finger tip, you take the brush and with brisk, circular motions, begin brushing until you reach your shoulder and onwards towards your chest. Repeat for the right arm. Do the same with your feet. With brisk, circular motions, work your way up from your left foot up towards your waist. Repeat with the right foot. Now start at your stomach and again with brisk, circular motions, work your way upwards toward your chest. With a long handled brush you should be able to do your back. A good and effective Dry Brush will take about 15 minutes to complete. When you are finished, step into your waiting bath (best to relax with a nice warm bath filled with your favorite salt, tea, milk or oil) or shower. When Dry Brushing your face, you still want to do circular motions, but not with as much force as you did your body. The skin on the face is much more delicate. This is the best way to exfoliate without using oils, salts or other abrasive particles. Your skin is exfoliated, your skin glows and you feel rejuvenated and refreshed right after. Wow! I did not know it was listed on Yahoo News. Thanks for letting me know 🙂 Glad you enjoy the blog.